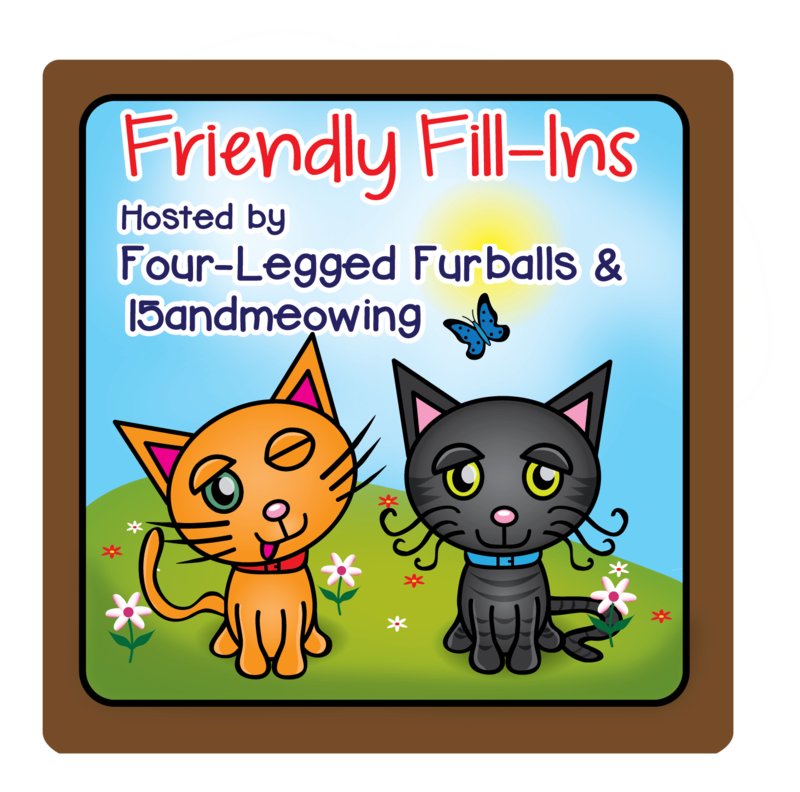 This entry was posted in Blog Hops, Friendly Fill-Ins and tagged Feline Friday, friendhip friday, friendly fill-ins blog hop, Pet Photo Fails Blog Hop, Trouble by pilch92. Bookmark the permalink. While i’ve never heard of Hollister, it doesn’t sound like my kind of place, either. Michaels would be interesting to spend a night there, if they would let me try to make some fun things. Pot may have some medicinal uses, but i agree with you, it’s not a good idea to have it around casually. Interesting photo fail, i’ll bet it takes you a long time to get the cats to be in just the right place and position. Thank you. Yes, I get a lot more fails than good shots. Why am I not surprised at answer #3! My human doesn’t mind the recreational pot thing. 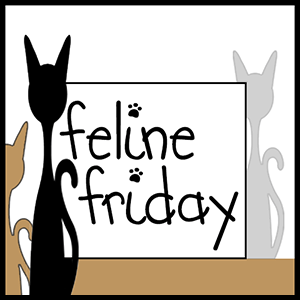 It’s pretty strictly regulated here where we live, so there’s only one store near us… and it’s the place my human goes to get the CBD oil all us kitties use! For some reason, she’s never tempted to get any of the supposedly fun human stuff, though! I am glad the CBD oil is available for you kitties. Trouble was a good sport! We wonder what Phoebe would think of Brody now. Great fill-ins……not familiar with the Hollister store but will avoid it if I do see one! Abercrombie is another I’ve not been IN but know of. I hadn’t thought of Michael’s Crafts as a good spot to be trapped in but it WOULD be!!! Acres of fun stuff to look at and create with. I love your photo fail – Trouble looks so darn cute in a t-shirt! Great fill-ins. Hope your hubby doesn’t mind you dreaming about Nicholas Cage! 1. I refuse to shop in the local J.Jill because the staff that work there are rude. 2. A store I wouldn’t mind being trapped in overnight is Dover Saddlery. 3. I’m dreaming of dinner at Mi Pueblo. 4. I wouldn’t touch sushi or raw oysters with a thirty-nine-and-a-half foot pole. I don’t think I would want to be trapped in any store. You all have a fantastic day. Mom says our whole Mall is like that!!! We don’t have recreational marijuana yet but there is talk of it going on the ballot. I think every state will pass it someday. Hmmm…I don’t recall ever seeing a Hollister store. But I’m right there with you about Abercrombie. That photo of Trouble is very cute. Great fill ins! I never heard of Hollister, but Michael’s would definitely be a nice place to be overnight. I’d be able to keep myself busy for sure 🙂 Have a great weekend! I hate that loud music at Hollister too, but it’s not the only place that does that. That’s where my granddaughter shopped for her school clothes for some years. Yes, it’s way over priced too. Oh well. I knew you’d have mention of Nicolas Cage. Good for you. Trouble is a cutie pie. We have never heard of Holister either, but it sounds like a good place to avoid at this time of the year. Mom loves Michael’s too and Hobby Lobby. If only she had a bit more of a creative side . . .
Good fill-ins had to laugh at, I’m dreaming of Nicolas Cage ( nothing naughty). We never heard of Hollister. Is that a local store? TW is still waiting for NJ Gov. Murphy to fulfill his promise to legalize weed. It’s good for so many things—not just getting high. TW would never have gotten through those years of monthly migraines without it. Humans can even mess up shopping fun! We hadn’t heard of Hollister before but if we were stuck in a store, it better have lots of foods and beds! We have legalized marijuana in our state and know of people who use the non-getting high kind to help them feel better. We also have a friend who’s using CBD oil on her kitty with cancer that’s a huge mass around her intestines. The vet thought she wouldn’t live more than a few days but by using the oil, she’s still doing well four weeks after diagnosis! The vet is beyond surprised! I had not heard of the CBD oil for cancer, that is promising. Excellent fill ins. I won’t go in any loud store or restaurant either. This old lady predicts recreational marajuna will be a big problem sooner than later. Cute t-shirt Trouble, I love Brody’s little eyes shining too. We love your friendly fill-in answers. We are also so happy that fail photo posts are still going to be around. Trouble doing a great job at ignoring the flashy box. Thanks for the share. Have a great upcoming weekend. We have “Medical Majiuana” places popping up all over the place here in Florida. I assume they are real doctors that will give you a prescription for pot for just about any made up medical condition. The craft store would definitely be fun to get stuck in. And so would a bookstore! I’d love that. Oh, you’re right, Michael’s would be a great store to be trapped in! Mew Mew hellos! Mom put me in a xmas sweater last year, so tell Trouble I can sympathize. My fill-in answers: 1. in stores. I shop on the catputer. 2. etsy stores online that make kitty toys and things 3. Erin the Cat Princess in my xmas stocking 4. raw food. Brody, you’d look so cute all dressed up!! I agree with your number 4. It might be legal, it might be profitable for the state, but it just ins’t right. Thank you 🙂 Glad I am not the only one that feels this way. Ooh yeah! Michael’s would be another great store to be trapped in! I agree with you about pot being legalized. I wish all smoking would be outlawed, no matter what it is. Rarely is there only one victim of these things. You had me laughing with #3! Though, I really shouldn’t have been surprised that Nicolas Cage was your answer. I am 100% with you on the likes of Hollister and Abercrombie. One of my biggest pet peeves about stores like that is that, though they’re supposedly selling clothes, their models are often half naked in the ads. Aren’t they there to showcase the clothes? Should they therefore put some on?